After Benetton, Johnny had a brief spell with Tyrrell before joining the dwindling Lotus team at the end of 1990 alongside his former mentor, Peter Collins. By 1994 Collins had Herbert under a watertight Lotus contract, and the consensus was the Englishman's massive talent was being squandered by uncompetitive cars. Indeed McLaren had tried prizing him away in early 1994, albeit unsuccessfully. Luckily for Johnny, Lotus was in dire financial trouble and when the team filed for bankruptcy his contract was sold to Ligier. The French constructor itself had just been purchased by Benetton and was now being run by Tom Walkinshaw, the subject of Benetton's "management changes" following the fuel filter verdict (all explained in the book). Herbert had become so demoralised driving for Lotus in 1994, he considered quitting F1 altogether. The Ligier opportunity couldn't have come at a better time for him. On Wednesday 19th October, Herbert reported to his new team for a testing session only to be told he would be driving the Benetton instead. "Really? Nobody told me," Herbert replied, "Flavio's orders," retorted his mechanic. 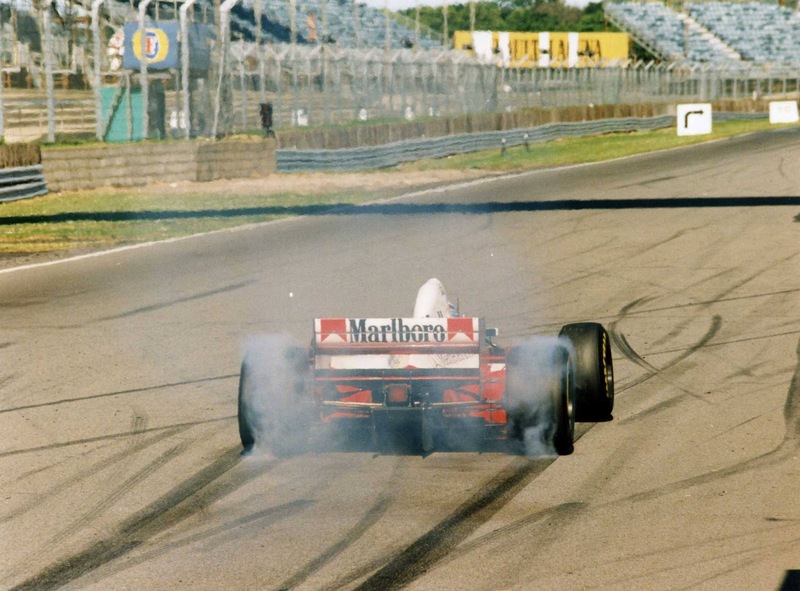 Johnny's first day in the B194 was cut short by a spin through the gravel and then an engine failure, while Schumacher posted a time of 1m 23.43s which was 1.5 seconds slower than pole earlier that year because the Barcelona circuit was slightly damp. The following day Herbert finished the test with a 1m 23.84s after using two new sets of tyres late in the afternoon, when the cooler temperatures assisted quicker lap times. When asked about the Benetton, Herbert remarked, "It's got a lot more traction than the Lotus ever had. You go into a corner, you turn and you floor it." After that first B194 test Herbert noted, spinning the rear wheels (as shown) "was actually quite difficult (in the Benetton). Whereas with the Lotus you could do it easily and you had to feed the power in and be careful." Lapping 0.4s from Schumacher's best time set the day before was impressive although slightly misleading, because Johnny would have benefited from the track being faster due to the slightly drier conditions and possibly more "rubbered in". Nevertheless Herbert, buoyed by his competitive time, was confident he could tame the tricky handing B194, unlike his two predecessors. "The Benetton is a stage better aerodynamically than the Ligier, and it has masses of traction," exclaimed the former Lotus driver. "I'd heard that it's twitchy, and it is. But you have to push beyond that. And when you do, it becomes quite stable." 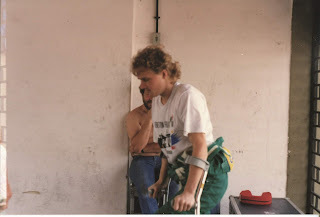 Benetton immediately confirmed Herbert as Schumacher's team-mate for the final two 1994 races, thus replacing the underperforming Jos Verstappen (father of current F1 star Max). Johnny's appointment was ironic considering the acrimonious circumstances he had been sacked from Benetton during mid-1989. Moreover Briatore, the man behind that, now relied on the Englishman to win them the constructors' championship and it was clear from Herbert's recent autobiography the two never got along. 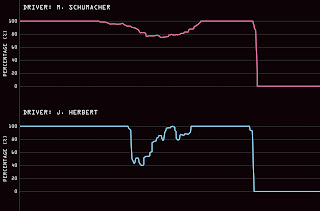 Briatore, who Herbert claimed sabotaged his efforts at Benetton citing the examples of Schumacher's telemetry being withheld from him and he wasn't given sufficient testing. Meanwhile, Walkinshaw publicly stated it was a bad idea for Herbert to immediately jump into F1's toughest seat - being Schumacher's team-mate - given the demoralising time he had just had at Lotus. However, Benetton needed its second driver scoring points during those final two races to retain any hope of clinching its first ever constructors title, hence why these concerns were ignored. At his first race weekend with the B194, the Japanese Grand Prix, Herbert qualified 0.6s off Schumacher, whereas Verstappen and Lehto had been on average 1.9s and 2.2s off the German star. 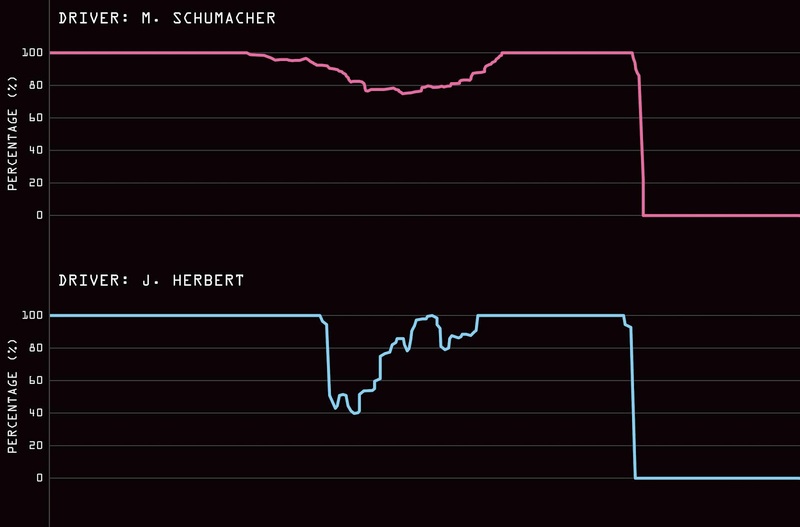 Interestingly Herbert then qualified 1.5s from Schumacher at the following race (Australia) and later admitted he "struggled". 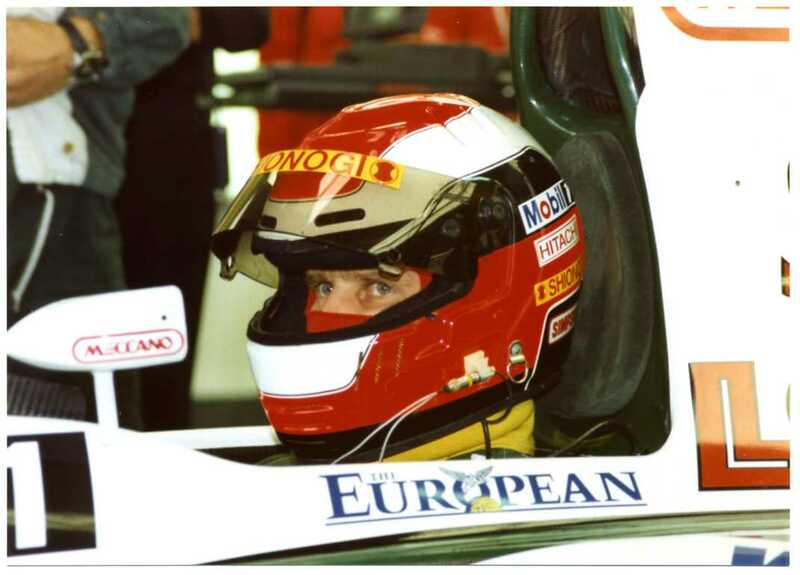 The reason why is explored in more detail within the upcoming book, however at the time the Englishman said "I don't know why I was that far off him (Schumacher)... The car's a bit different style wise. I know when I did the testing after a good day I could actually get the thing to work really well." These comments did nothing to dispel widespread rumours that Schumacher's car was different to Johnny's. Book contributor Christian Silk was Herbert's race engineer at Benetton during 1994 and felt the above trace was typical of the differences between the two. "Schumacher was really good at listening to the team and adjusting his driving depending on what engineers wanted him to do." While former F1 driver Mark Blundell (a close friend of Herbert's) exclusively revealed his thoughts on this within the book, and it is extremely telling. 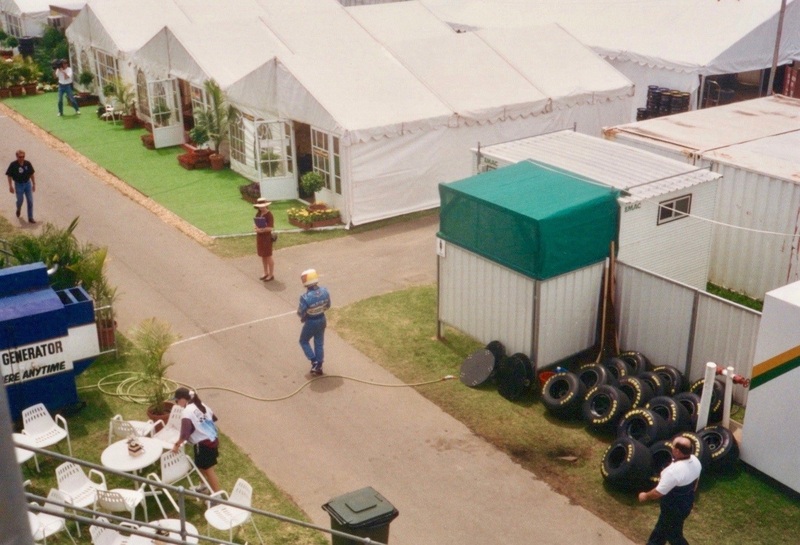 By the Australian Grand Prix every Benetton action was scrutinised to the nth degree, following its various controversies throughout 1994. Nowhere was this more evident than during Friday's qualifying after Schumacher crashed his car. The German's car had been written off as a result and Benetton's actions afterwards sparked yet more rumours. Find out why within the upcoming book, and whether Herbert's lack of performance in Australia was down to confidence issues. 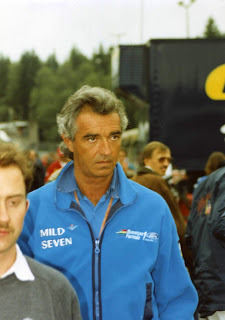 Or had he performed too well previously and this was when Briatore (Herbert's arch enemy) commenced his alleged sabotage campaign against Johnny? 1994 – The Untold Story of a Tragic and Controversial F1 Season is a new book which investigates both of these arguments using more telemetry traces, exclusive interviews and some very rare images. The upcoming book will be launched on 12/1/2019 at the UK Autosport International Show (Performance Publishing's stand) where Ibrar will be delighted to talk about / show off the book to anyone attending. Even so he would highly recommend you pre-order the book at: https://www.performancepublishing.co.uk/1994-the-untold-story-of-a-tragic-and-controversial-f1-season.html to avoid disappointment and losing a chance to get a valuable first edition copy. Alternatively sign up here to receive more book updates & new blogs automatically.